Offering nifty doubles services, stock cash services etc. In this service We provide 1-3 intraday calls in MCX Gold tips and Silver tips with high level of accuracy. The calls are given in Precious Metals. You can also avail Free Tips to test our accuracy and if satisfied you can join the services with Capital Stars. You get sufficient time to enter in our calls and can maximize your profit with us. In this service we provide 3-4 intraday stock cash calls in NSE/BSE with an accuracy of more than 85%. You can also avail Free Stock Tips for two days to test our accuracy and if satisfied you can join stock cash services with Capital Stars. You get sufficient time to enter in our calls and can maximize your profit with us. We provide you around 3-4 Stock Cash Calls Daily. We provide complimentary Priority Calls 1-2 per month. 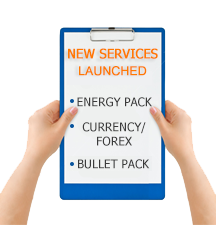 In this service we provide a single intraday/delivery call in NSE/MCX/NCDEX with an accuracy of more that 85%. The calls are given in Cash/Futures segment of NSE and Agri/Bullion (Metals & Energy) in MCX or NCDEX. There is absolutely no free trial in this pack as the accuracy is very high. There will be a new call provided in case the given tip is not executed or there is no profit booked in the tip. You get sufficient time to enter in our calls and can maximize your profit with us. We provide you one call only with high accuracy. Timely Follow Ups of all the call. In this service we provide more than 10-12 BTST/STBT calls in a month in any of the following Cash, Futures & Options calls in a month with an accuracy of more than 85%. You can also avail Free Tps for two days to test our accuracy and if satisfied you can join this service with Capital Stars. You get sufficient time to enter in our calls and can maximize your profit with us. We provide you around 10-12 calls in a month in Cash, Futures & Options. In this service we provide 3-5 intraday calls in NCDEX/MCX with an accuracy of more than 85%. The calls are given in Agri Commodities. You can also avail Free Tips for two days to test our accuracy and if satisfied you can join the services with Capital Stars. You get sufficient time to enter in our calls and can maximize your profit with us. We provide you around 3-5 Calls in Agri Services in NCDEX/MCX Daily. In this service we provide 1-2 intraday Nifty/Bank Nifty Futures calls with an accuracy of more than 80%. You can also avail Free Nifty/Bank Nifty futures Tips for two days to test our accuracy and if satisfied you can join this service with Capital Stars. You get sufficient time to enter in our calls and can maximize your profit with us. We provide you around 1-2 intraday Nifty/Bank Nifty Futures calls Daily.